Christmas LUSH Bath Bomb Haul! I’ve never been a big bath fan. They’re hot. They hurt my neck. They leave the bathtub all sudsy and your fingers all prune-y. Fighting Animal Testing, Ethical Buying, Naked! It wasn’t until I didn’t have a bath anymore that I really started missing being able to take one. I endured 4 years away at college without being able to pamper myself in the tub. But now, just after college graduation, I finally have a tub again. And, boy, have I mastered the art of taking a bath. I’ve found that perfect warm-but-not-scalding-hot temperature, learned to keep the door open while filling up the bathtub so that the bathroom doesn’t get overwhelmingly steamy, and have been using LUSH bath bombs–the perfect mix of light, delicious fragrances and beautiful H2O colors. For Christmas, I got 3 LUSH Bath Bombs. I’m fairly new to their products–I’ve used a couple of their bath bombs (Pink and Butterball), love their stick fragrances, and keep my Mint Julips Lip Sugar Scrub in my makeup bag at all times. I’ve loved the bath bombs in the past, so I was really excited to try out three new ones: Golden Wonder, Lord Of Misrule, and The Experimenter. I’ve only had a chance to try out The Experimenter, but I will make sure to do a review on all 3! Hope you all had a great holiday season and Happy 2016! Thanks for being awesome readers! Life is weird. I keep waiting around for the moment when I am going to become an adult. 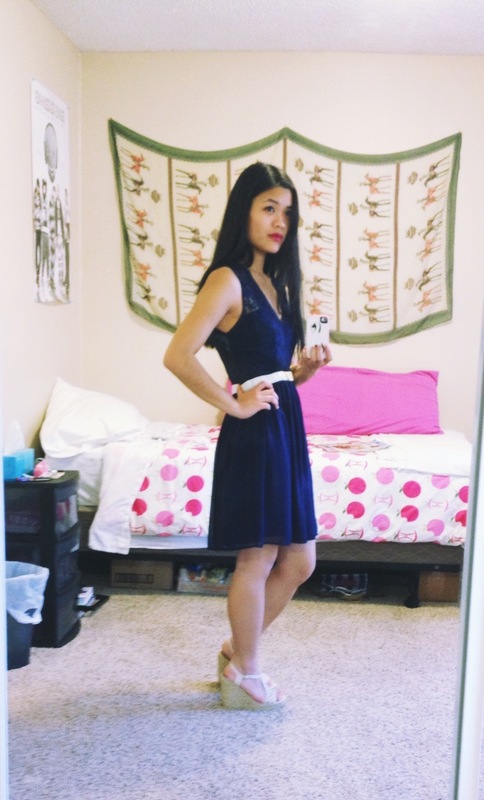 I still say things like, “When I grow up…” and, “I’m not ready to be an adult!” But I just graduated from university, packed up my apartment, and am moving states. All this ‘moving on’ has me really nostalgic, I suppose, because I have found myself really craving the old school blogger and YouTuber posts/vids lately. I love that my favorite YouTubers are growing up, too, but sometimes I just really want a good old-fashioned haul video. 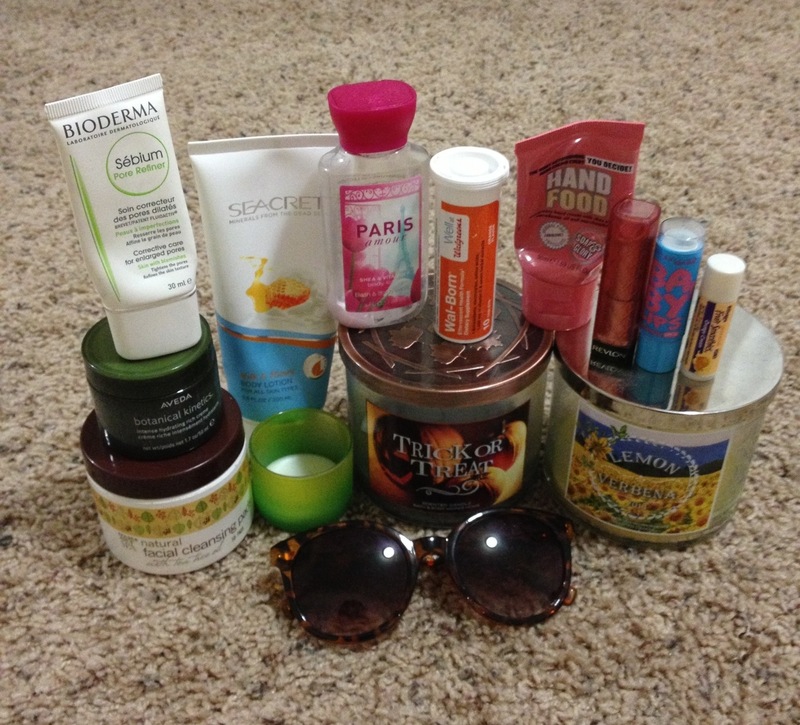 That being said, I thought I would collect my used up products this month so I can do an EMPTIES post! I’ve never done one before but I have to say, gathering up my empty bottles and products was extremely satisfying. In grade school, the best feeling would be when I would completely use up the ink in a pen or completely finish a tube of lip balm. Looking at my pile of empties was that type of satisfaction x1000. 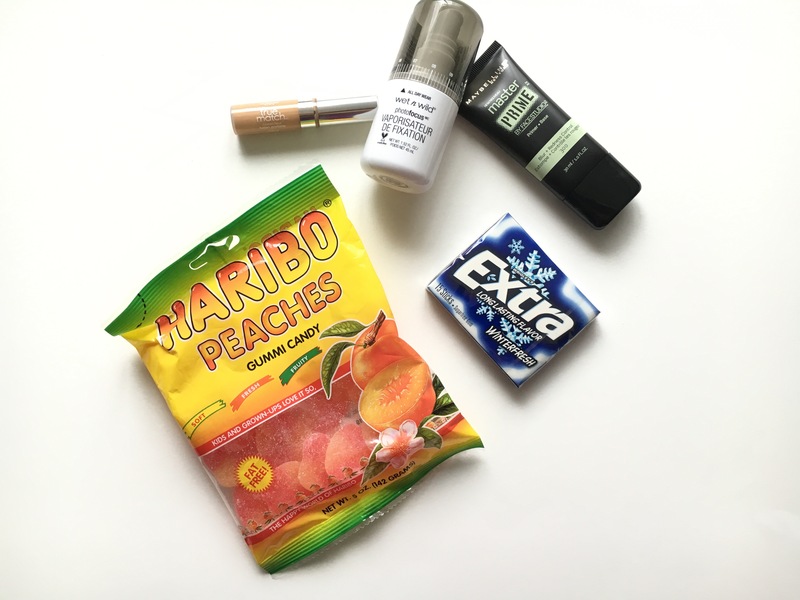 So here we go, my May 2015 Empties! I’m starting off pretty weird with this one, but seeing as I spent half my time sick this month, it only seems appropriate to mention the insane amount of vitamins I took. 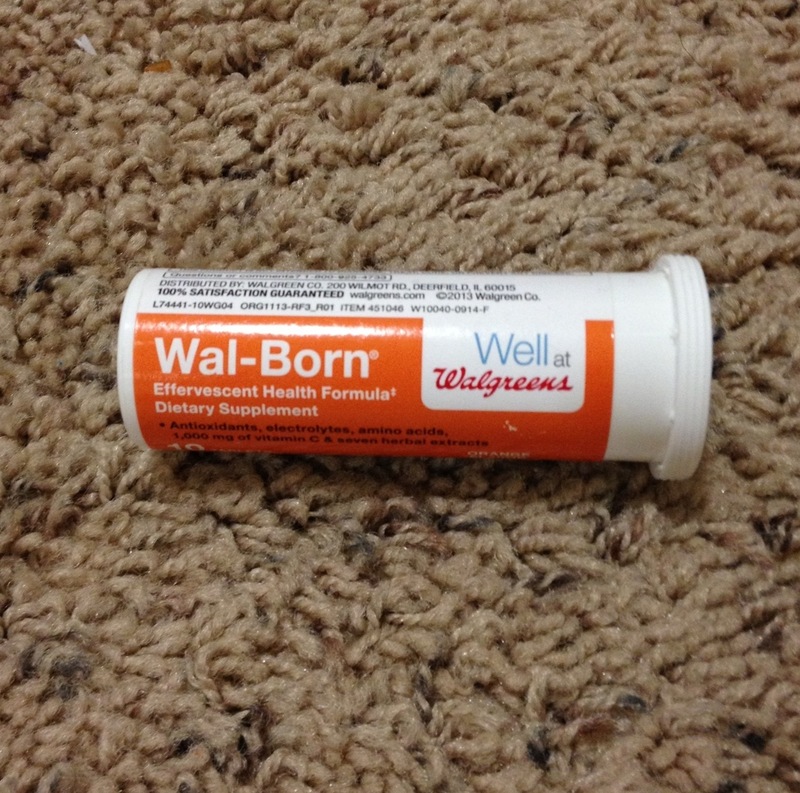 I took a full bottle of Airborne and then this full bottle of Wal-born (the cheaper Walgreens brand) plus a bunch of other additional vitamins. 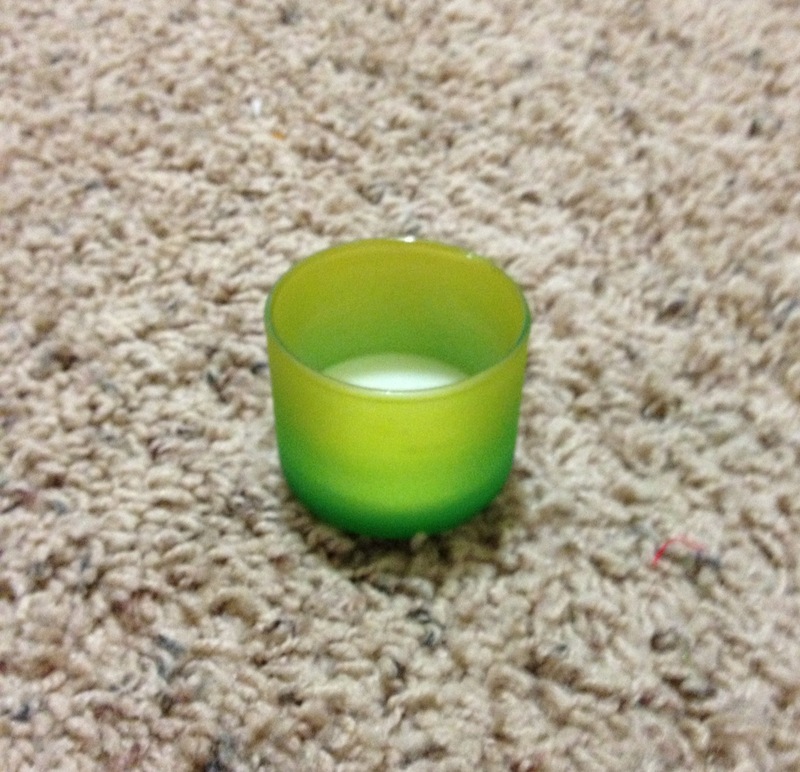 I don’t know if candle qualify for empties, but I burned them out and I’m obsessed with candles so…why not? 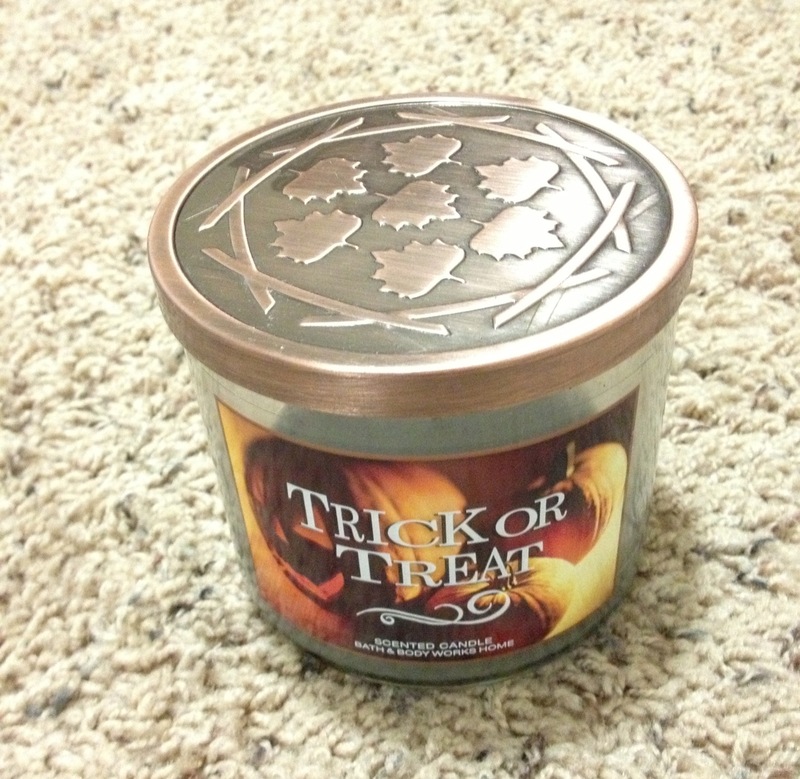 I got this Trick-Or-Treat candle at Bath & Body Works last fall and finally finished it this month. It has a super sweet marshmallow scent that I like, but is strong enough that I only needed to burn it 10 minutes at a time to fill up my whole room with a full scent. Hence why it lasted so long. 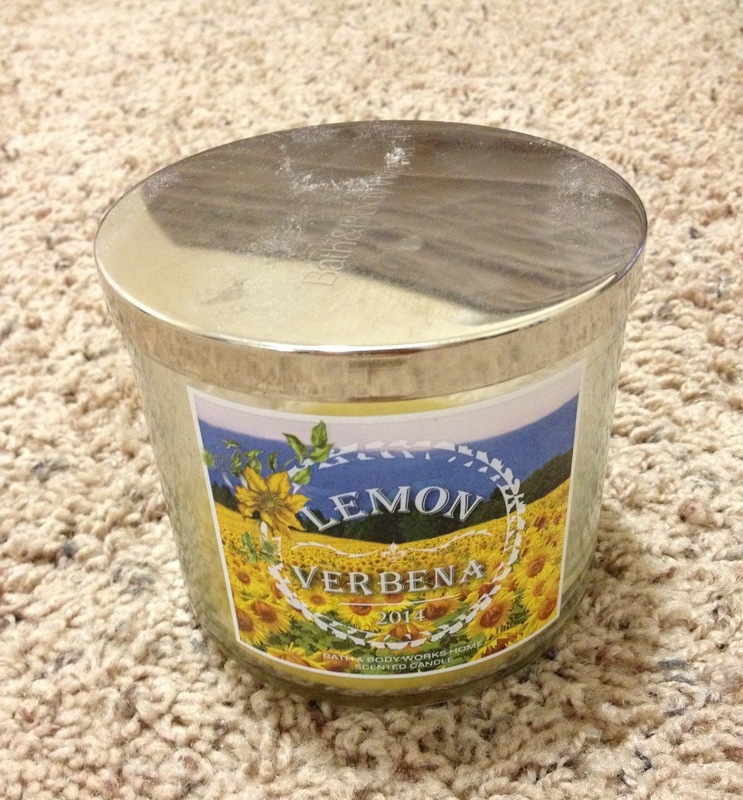 I love citrus scents and this Lemon Verbena B&BW candle was heavenly for me. It’s a good spring/summer transition scent and is very sweet but not as overpowering as the Trick-Or-Treat candle because it is balanced by the lemon. This Big Island Bamboo candle is probably my favorite of the three, but I got it in the mini size so it only lasted a few days. It’s a more nature-smelling scent than the others and sort of reminds me of a warm spring morning. 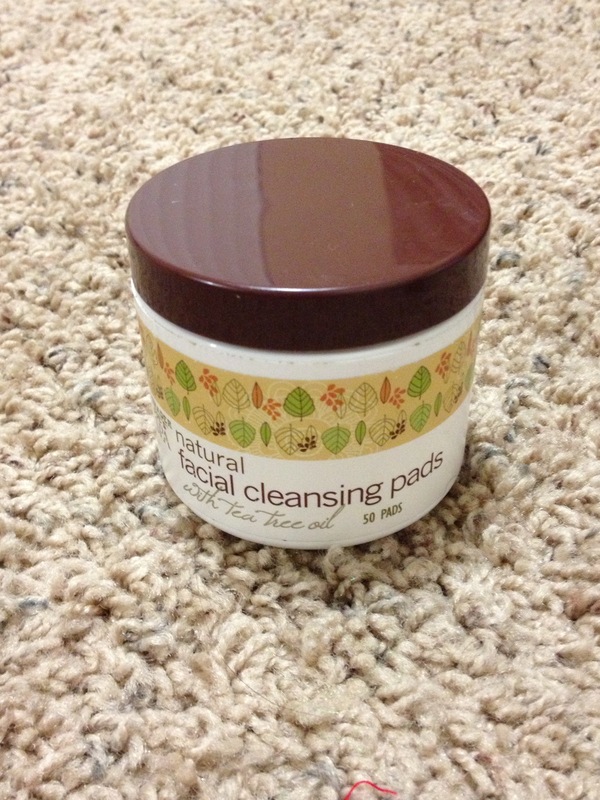 My mom got me these Trader Joe’s facial cleansing pads and I was wary of them for a long while. Once I tried them, I actually sort of liked them. They’re really strong and can sting your skin if it is sensitive (and your eyes even if you avoid the eye area). I’m assuming there was alcohol in them which would cause the irritation? But I love tea tree oil and my face felt REALLY clean after using them. I would swipe them gently over my face after washing my face sometimes even and it would still take off dirt and oil residue so I feel like they’re really effective at cleaning skin. 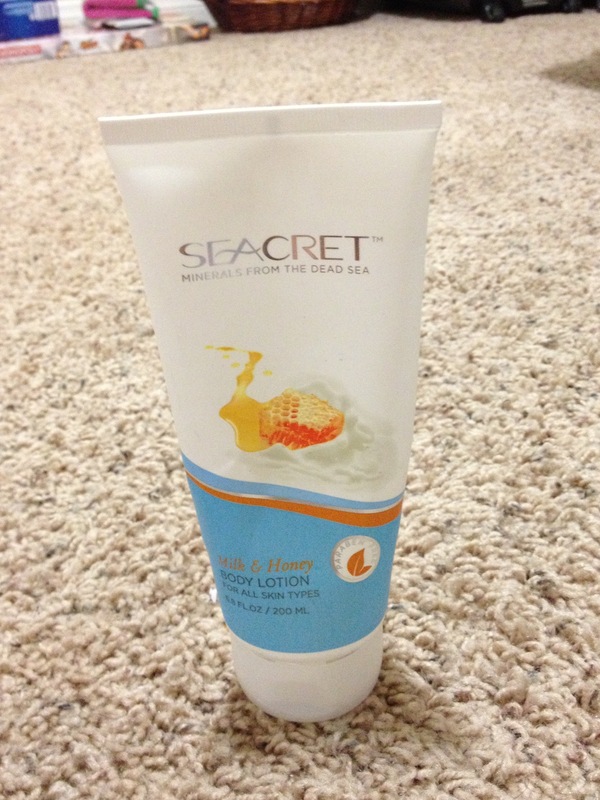 My sister got me a bunch of Seacret products for my birthday and Christmas and they are so moisturizing and lasted me a long time. This body lotion has a scent that I’m not a huge fan of (but it didn’t bother me, just smells generic) but it absorbs into skin quickly, leaves it smooth, and doesn’t leave it sticky. My facial skincare routine has been in constant flux the past few years as my skin has developed super dry patches. Living in southern California, I think the pollution and increased sun exposure are both the blame. 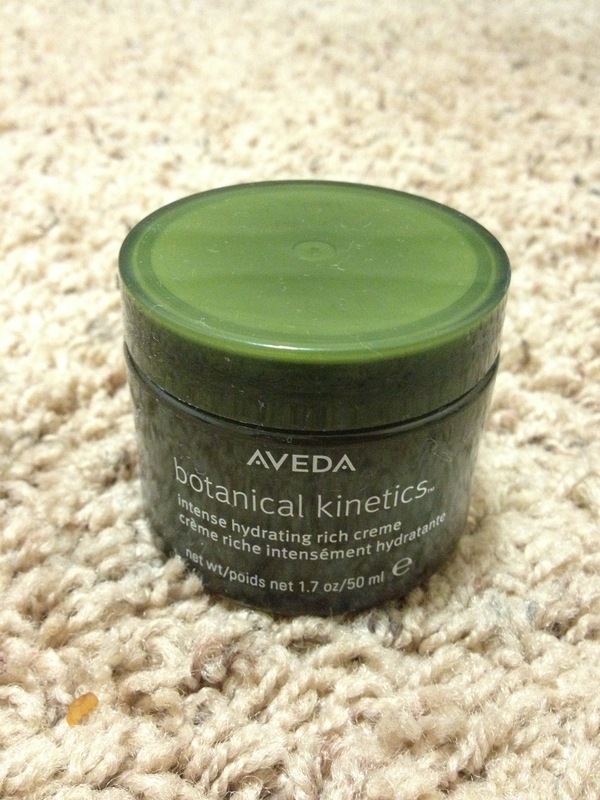 That being said, this Aveda botanical kinetics face cream is amazing. 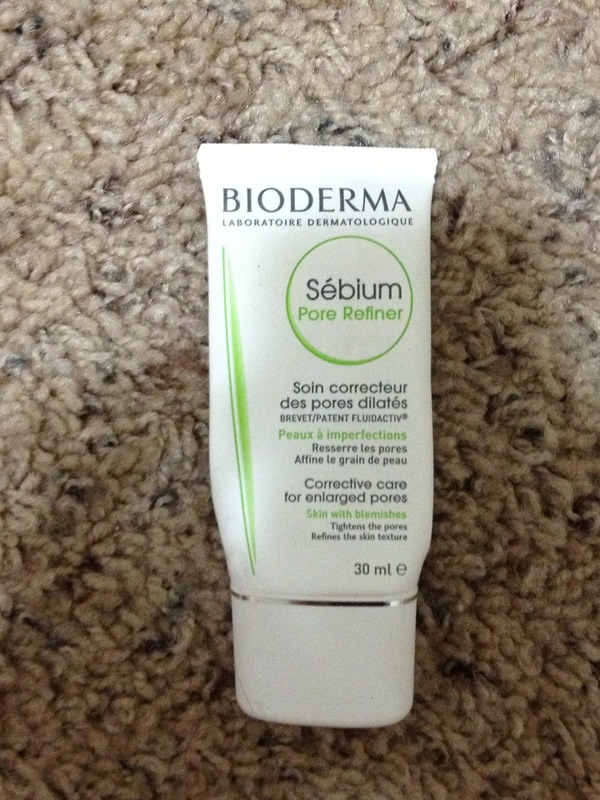 It hydrates my face without leaving it feeling oily or greasy. It didn’t do the tough job of tackling my eczema-like dry patches but the rest of my normal-type skin felt great after using it. Expensive, but would repurchase. I made the mistake of walking into B&BW to “just look” and walked out with three products. This was one of them. 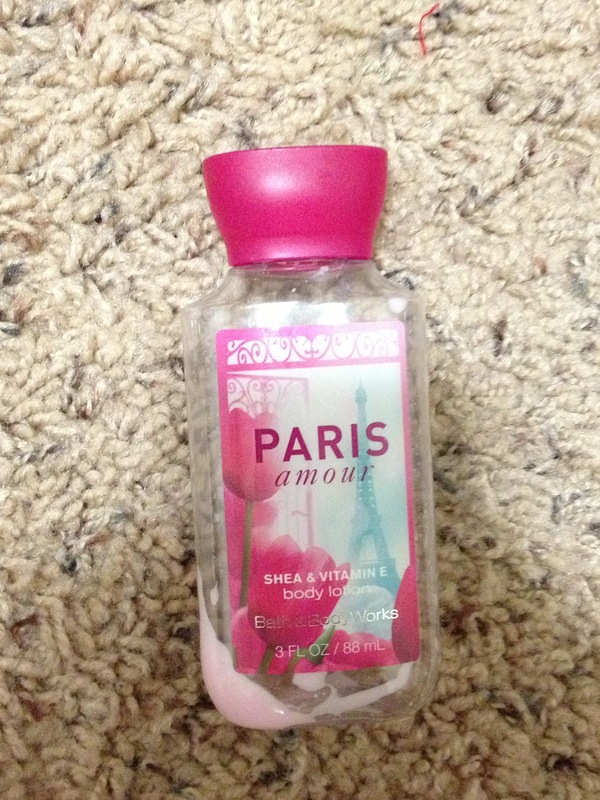 The salesman was really great at his job and completely convinced me I loved this scent, Paris Amour. 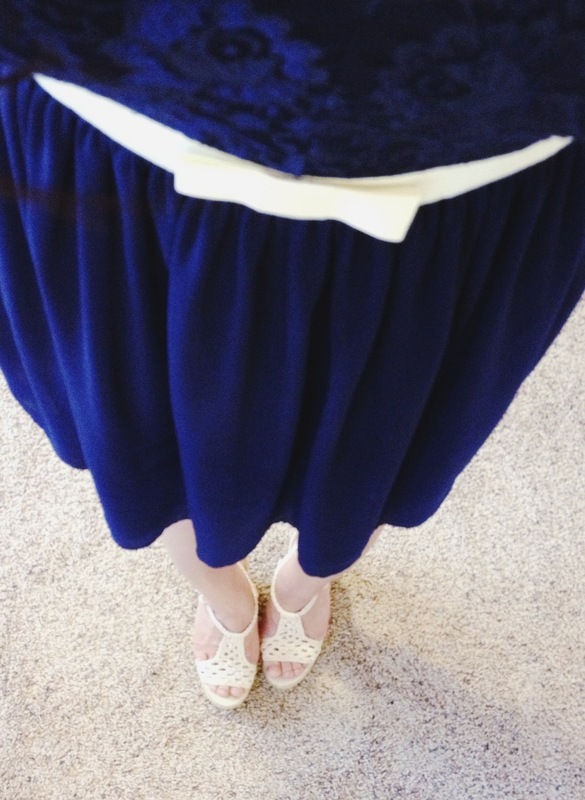 I like it, not head-over-heels about it, but it smells nice. Overall though, I am not a fan of B&BW lotions. They’re generally pretty sticky and the scents are a little much. 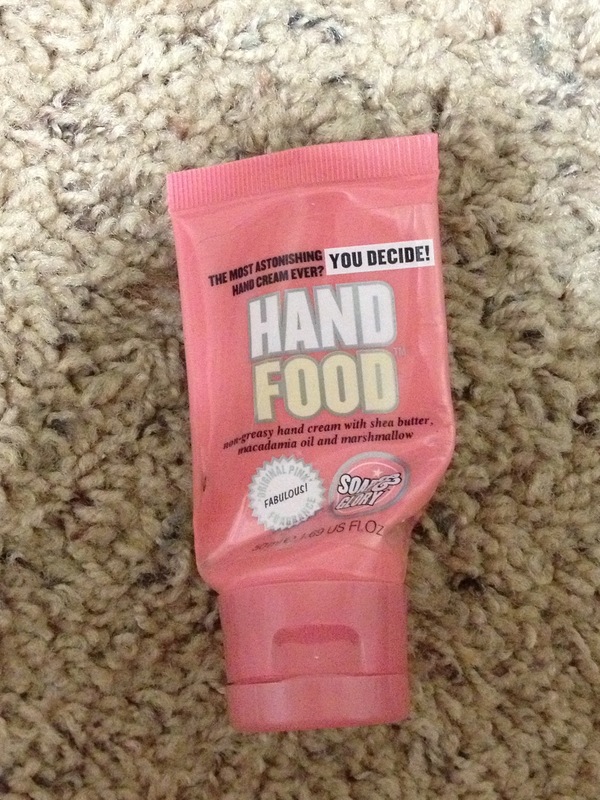 I got this little travel size Soap & Glory Hand Food hand lotion while in London last spring (actually, I got a few of them…) and I am super sad that it’s gone. 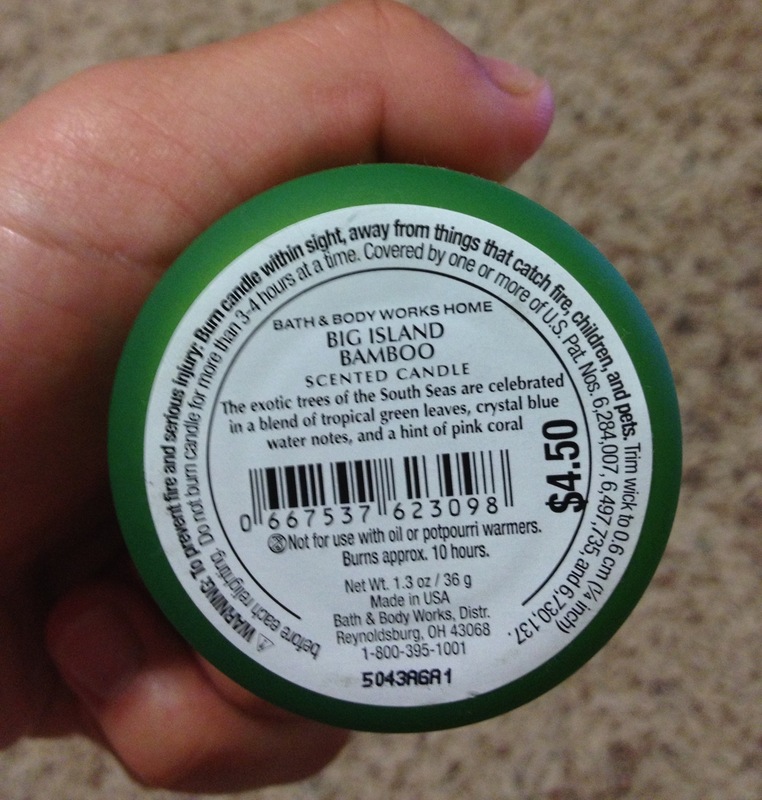 It has this really juicy smelling scent that isn’t B&BW-overpowering and is really creamy. Would definitely repurchase at Sephora in the states, although it won’t feel as special as when I bought it in London. Can I even put sunnies in my Empties post!? This is more of a stretch than the candles, but I actually used these sunglasses until the point where they were cracking. Retired sunglasses that survive being lost, dropped, or sat on deserve to be in this post. 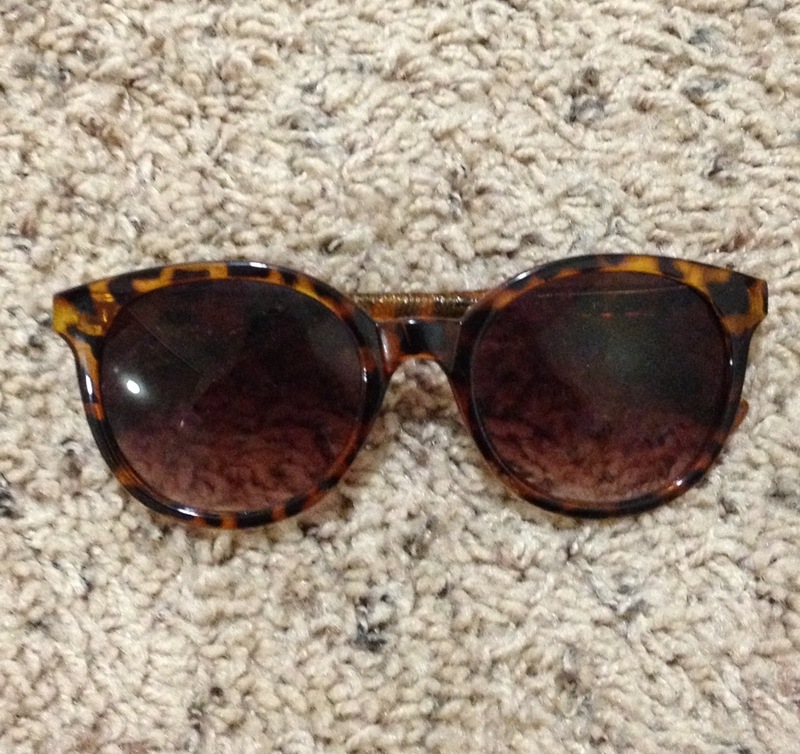 I loved them and went back to Target to try to find an identical pair but couldn’t…so I bought the closest looking ones! Bought this while in Paris. Doesn’t work but I used it up anyway. Oh well. Revlon Colorburst Lip Butter in Pink Truffle. 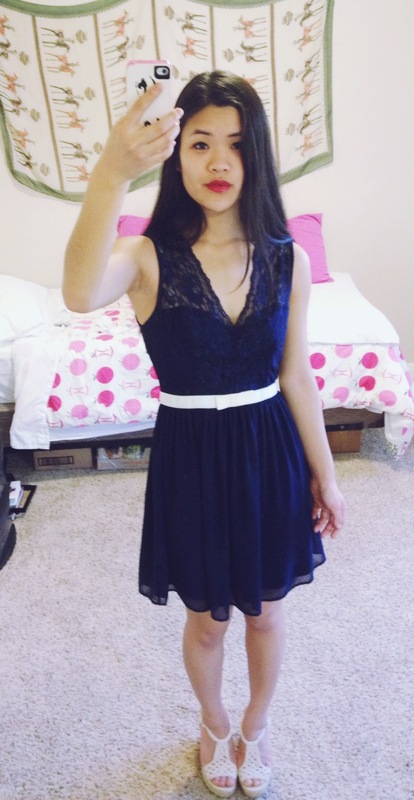 My favorite YLBB lip color ever. 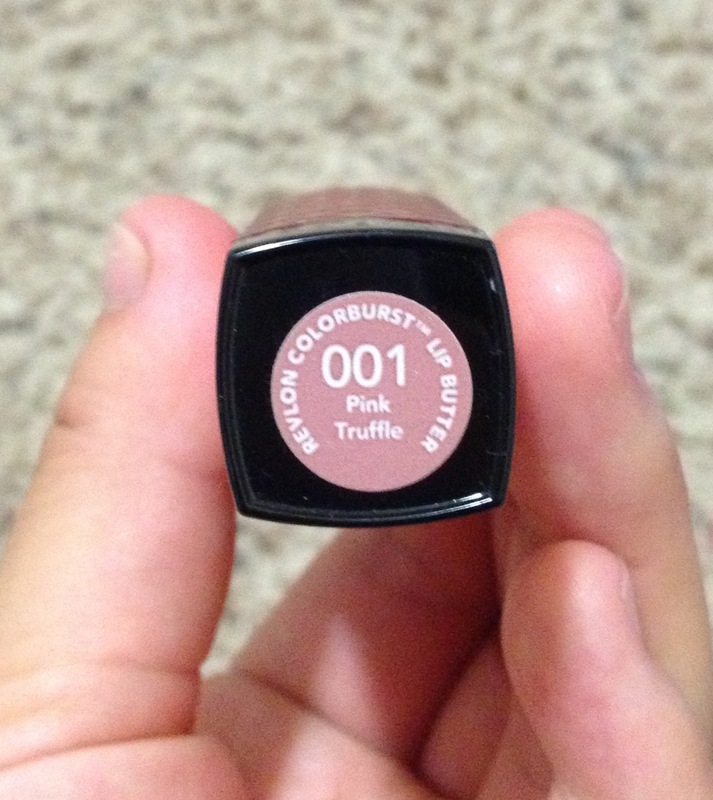 It’s practically lip balm with how moisturizing it is but the color is great and neutral. 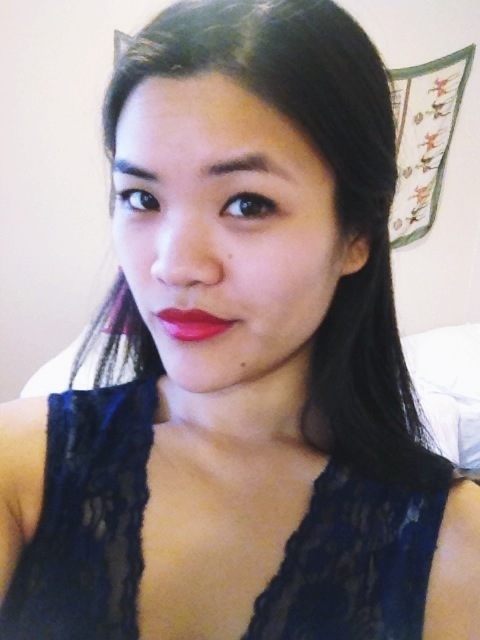 My lips are naturally a bit darker with brown and sort of mauve tones and this lipstick is what I wear when I want to look like I’m not really wearing lip color. Am 100% going to repurchase. 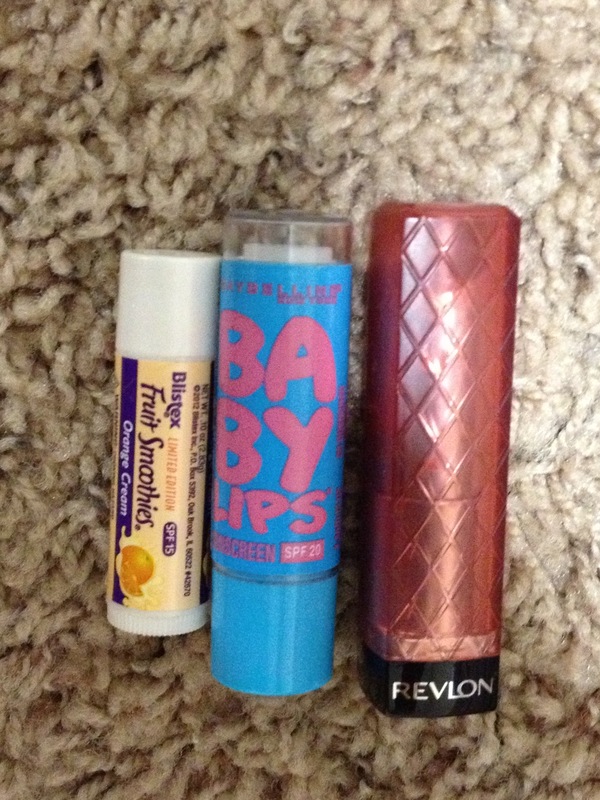 From left to right: Orange Creme Blistex lip balm with SPF 15, Baby Lips with SPF 20, and the Revlon Lip Butter in Pink Truffle. The Orange Creme smells exactly like one of those popsicles which makes me want to eat it but it is a little thick and ‘cheap’ feeling on my lips (because it was cheap). Baby Lips is Baby Lips and most people know if they like it or not. I think it is really moisturizing but this scent was kind of boring (wait, was there even a scent? If so, it was forgettable). And, that’s it! All my May 2015 Empties. Ah, what a good feeling using up the last drops of all of these products. Yet again, I’m here to tell you how in love I am with LUSH. Now, I know what this looks like. My last two posts have been about LUSH (Pink & Butterball bath bombs), and here is yet another LUSH review. Although I would love to say that I’m a bona fide LUSH addict, the truth is that I’m much too poor and much too new to this LUSH lifestyle to call myself anything other than a n00b when it comes to everything this magical store has to offer. 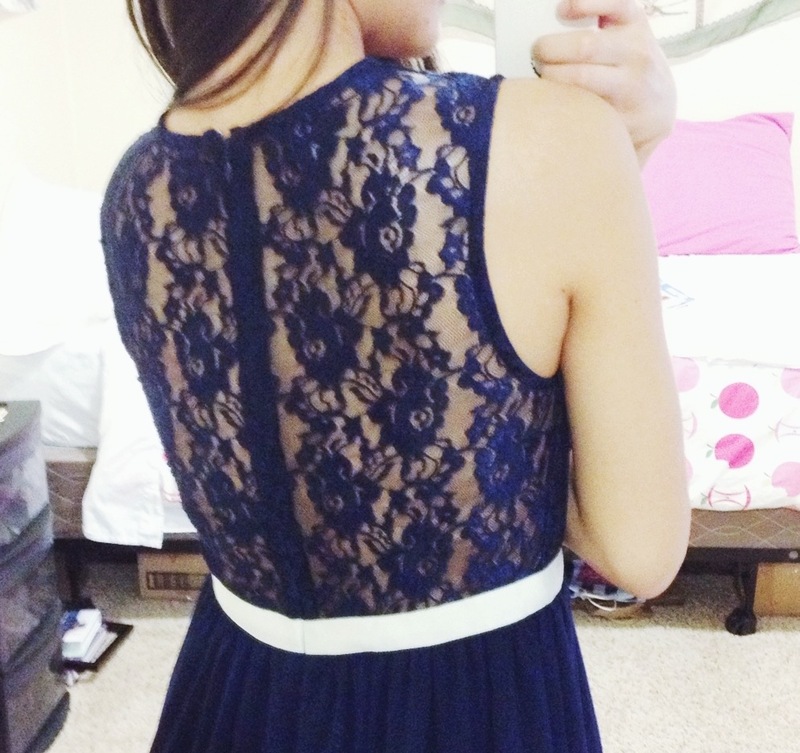 Nonetheless, here is my latest purchase. It’s a vegan lip scrub (“A lip smacking cocktail,” the front saucily reads) in the scent Mint Julips. Tasty mint chocolate sugar lip scrub for smooth moves and sweeter kisses. The description, as usual, totally sells me on this product. But the product itself is effective and sweet. The directions say to “scrub and buff your lips to softness, lick off the excess then apply your favourite LUSH Lip Balm.” I would add to scrub gently, no matter how much dead skin you’re trying to get rid of. It will buff away eventually and since it’s sugar, rubbing the grains can be kind of harsh on your lips if you rub too hard. I admit that I find myself applying this sometimes just to lick it off or for the tingles from the mint. Luckily, it’s totally safe to do, and there are enough oils in the mixture that licking my it off my lips and applying lip balm immediately after doesn’t completely dry out my lips. In a colder/drier environment, that may not be the case, however. Unlike some LUSH products that expire quickly, this one says it lasts 14 months. Do you have any lip scrubs, LUSH or otherwise, that you’re loving? Let me know!